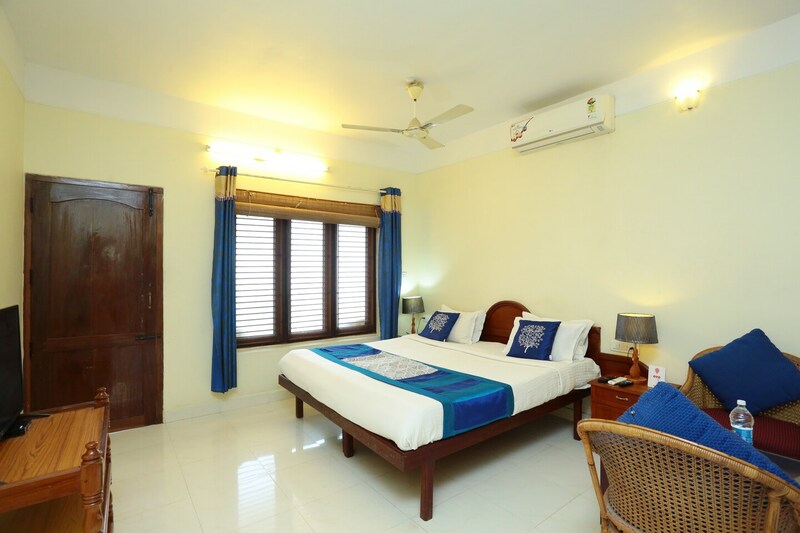 OYO 4961 Home Stay Green Shore in Kovalam is an ideal choice of stay for business and leisure travelers, offering fine services at budget rates. The hospitable and friendly staff of OYO ensures your stay is pleasant. Head out to visit the key attractions of Kovalam like Vizhinjam Rock Temple, Attukal Bhagavathy Temple and Puthenmalika Palace Museum. Need cash? There is Catholic Syrian Bank ATM, State Bank of India ATM and Canara Bank Atm nearby this property.